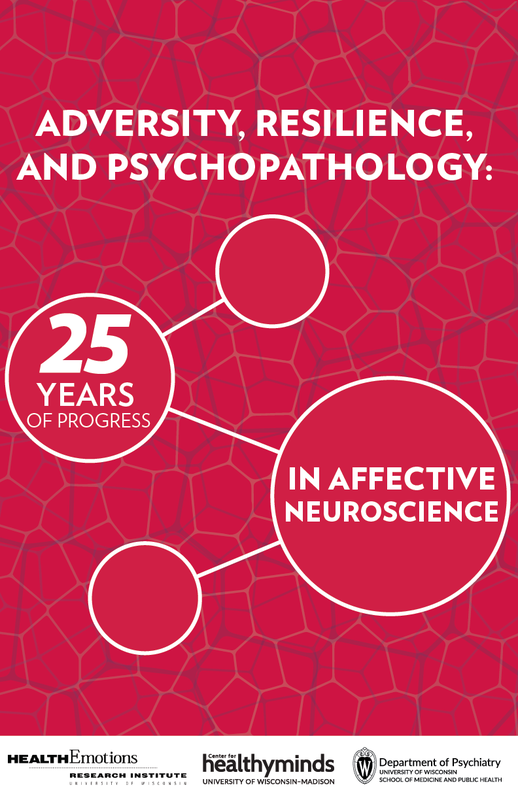 Registration is OPEN for the 25th anniversary Wisconsin Symposium on Emotion! Registration is now open for the 25th Annual Wisconsin Symposium on Emotion, Wednesday and Thursday April 10 & 11, 2019 at the Marquee Theater in Union South. We will have some surprises in store this year to celebrate the 25th anniversary of the HealthEmotions Research Institute’s annual Symposium. We are thrilled to welcome an outstanding lineup of leading scientists to present their research, followed by in-depth discussions led by our students. We hope you can join us as we deliver lively discussions on the origins of psychiatric illnesses and provide creative insights into new potential treatments. Alan F. Schatzberg, MD : Can Potential Drugs of Abuse be Used Safely as Antidepressants? One of the most rewarding and unique features of the meeting is that we provide travel awards to domestic and international students to come to UW and learn with us. These scholarships go to students at all levels of their education including: undergraduates, PhD students, post-doctoral fellows, MD students and residents training in psychiatry. This year the HealthEmotions Research Institute will support the expenses of up to 25 trainees from the US and around the world to come to Madison to participate in the meeting. This is a wonderful opportunity for students at all levels to interact with world class scientists and to meet UW-Madison faculty. Every year we hear from participants that this meeting, where experienced scientists make a special effort to reach out to trainees, helps forge enduring collegial relationships. We urge you to join us for an extraordinary learning experience!